Who do you call if you need to install chimney cap Houston? Chimney Wildlife Tech, (832) 413-6431 will make and install custom chimney caps for your home. Chimney Wildlife Tech, (832) 413-6431, has been leaders in the install chimney cap Houston field for some years now. In an effort to offer our customers the best product possible at the best cost to them we own and run our own metal shop. This allows us to custom make each chimney cap we install, ensuring that it will function perfectly for your home. Our chimney caps are made from 24 gauge colored steel. This allows you to consider the aesthetics of your chimney cap while not limiting its function and performance in any way. When we install chimney cap Houston they each come equipped with animal screening, this will prevent birds and other animals from getting into your chimney and trying to nest there. When we install chimney cap Houston each of our caps come with a transferable lifetime warranty, thus guaranteeing the life and performance of your chimney cap. Chimney caps are essential in the prevention of roof fires and chimney fires by not allowing larger sparks to exit the chimney. Also in the prevention of animal entry a chimney cap will keep out nesting materials that can clog up the chimney, cause smoke to draft back into the house as well as cause fires when the materials catch on fire from the heat and sparks of the controlled fire in your firebox. When you install chimney cap Houston you are putting in place prevention for these situations. When you have a correctly install chimney cap Houston you will also be adding to the function and life of your chimney chase. The chimney cap sits on top and protects the mortar crown and chase from water and exposure to the elements. This will help to limit the damage to your bricks and any wood in your chase by keeping the water off of this area as well as helping to prevent water leaks. If you need to install chimney cap Houston call Chimney Wildlife Tech for an estimate. We would be happy to build a custom cap for your chimney and home. If you have noticed water leaks in your chimney you may need Pearland chimney caps, call Chimney Wildlife Tech (832) 413-6431. Over the last few months we have had quite some rain in the Pearland area. This has lead, unfortunately, to some homeowners finding that there are leaks in their homes that they hadn’t previously known about. This then leads to how do you repair Pearland chimney caps that may be leaking into your chimney? There are a few reasons that your chimney may be leaking water, one of the easiest to spot is if you have Pearland chimney caps installed on your home. A custom chimney cap when correctly installed on a chimney will help to prevent water from leaking into the chimney during rains and snow. Another reason that you could have water leaking into your chimney is that your mortar crown or chase may need repairs. This often happens when there are no Pearland chimney caps in place or they have been incorrectly installed on the home. One of the main functions of the chimney cap is to protect the chase and mortar crown from damage due to exposure to the elements. Another thing that can be done to assist with a chimney that has custom Pearland chimney caps installed and the mortar crown and chase are both in good shape is to water proof the chimney bricks themselves. This will help to repel any water that comes in contact with the chase while still allowing the bricks in your fireplace to breathe. If you have had a chimney leak that has not been repaired call Chimney Wildlife Tech for an evaluation on what is going on. Also, if you haven’t had a leak yet think that your Pearland chimney caps may be non-existent or in need of repair call us right away. Having a chimney cap that is performing poorly will only lead to more needed repairs later on down the road. Here at Chimney Wildlife Tech we own our own metal shop where our trained and experienced craftsmen produce custom Pearland chimney caps along with other chimney related items. This allows us not only to ensure that you are getting the best product for your home at the smallest hit to your pocketbook but it also allows us to offer you a transferable Lifetime Warranty on all of the Pearland chimney caps we produce. As an added bonus all of our chimney caps are manufactured to prevent entry from birds or animals, this keeps them out of your chimney and helps to prevent the buildup of nesting materials which can lead to chimney fires. 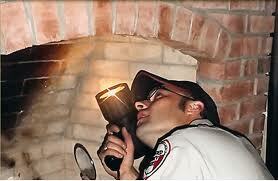 If you are wondering about the integrity of your Pearland chimney caps call Chimney Wildlife Tech for an evaluation. 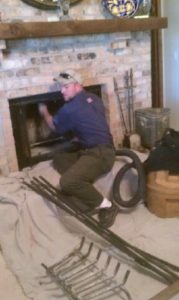 Chimney Wildlife Tech (832) 413-6431 does chimney sweeps in Houston, Texas. Brian had a sweep that took an hour and a half because the homeowner had not swept the chimney in 30 years. This is a serious fire hazard. You can see in the picture Brian trying to open the damper because there was so much soot he could barely get the brush up in the flue. The homeowner had called because his chimney was giving off a smokey smell that was over powering the living room, called chimney breath. Soot will give off a odor when it gets humid and is very hard to get rid of after a build has occured. The chimney sweep industries best solution is to keep the flue swept. Sweep chimney every year at the end of the burning season. This prevents any more the saturation into the brick and mortar joints of soot. Keep moisture out with a top mounted sealing damper to prevent moisure from entering the flue. Install a full coverage chimney cap over the damper to keep moisture off the top of the chimney. Waterproof the brick with Chimney Saver Solvent Base. 5. Seal the flashing with a polyurithane caulk. Mortar is not a sealant. Not all chimney sweep Houston service companies are equal. 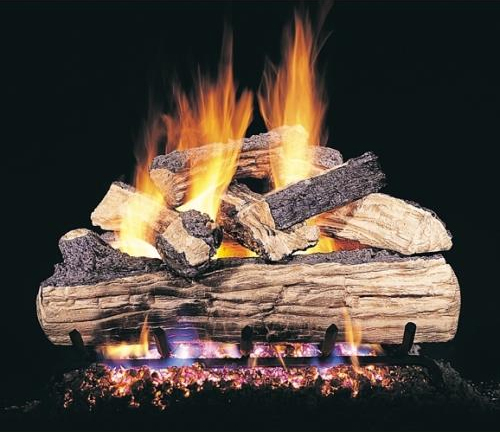 Chimney Wildlife Tech has the experience and the products to solve any chimney problem. The customer we did last week said before we left that the smell had alread been reduced just by us doing the chimney sweep. We ended up doing all five steps and it will help with future chimney breath, but not solve it.